Duterte presidency: How far is it now from reality? In 2004, former President Gloria Macapagal-Arroyo won against the late action star Fernando Poe Jr. for the seat in the Malacañan with just a margin of merely one million votes. Fast forward 2016, FPJ’s daughter, Senator Grace Poe is now on top of the game after unseating the long-time frontrunner in the surveys who is Vice President Jejomar Binay. But this doesn’t call for a celebration, as Poe is not alone at the top. Alongside him is Mayor Rodrigo Duterte, the two-decade ruler of Davao City, who is tagged as the dark horse of this year’s presidential race. This was uttered by a jubilant Duterte after learning that the Garcia’s One Cebu party placed him as their bet upon dumping Vice President Binay. Who couldn't be happier indeed? After all, Cebu is the richest vote province in the country that can give any candidate a huge advantage in this very tight road to replace Aquino. With an approximate number of 2.7 million registered voters, the Garcias, one of Cebu’s influential political clan is very much able to play a vital role in discerning on who will be the 16th ruler of the Philippines. The endorsement of the Garcias to Duterte is a big blow to Binay and Roxas. The endless accusations of graft and corrupt practices against the vice president and his family pulled Binay’s position down in the recent surveys as he now ranks either from the 2nd and 3rd spots. Roxas’ campaign on the other hand will become more fragile after failing to secure Cebu’s support. With Duterte almost securing a million vote from Cebu, Roxas’ presidential ambition may be in grave peril as his campaign has the Visayas region as its core. Although still the top player, it cannot be deny by the camp of Poe that the Garcias support for Duterte will spell a difference on the upcoming surveys being the presidential frontrunner prior to Election Day. Statistically tying for the top spot, Duterte received an overwhelming 30 percent share in the recent survey conducted by the Laylo Research Strategies. Following him is Poe with 27 percent. Roxas, Binay and Santiago only obtained 21%, 18% and 2% in the survey which has a plus or minus 1.8% margin of error. Although Poe’s camp remained confident that she will ultimately bag the presidency, the result of this latest poll should be an issue of concern. 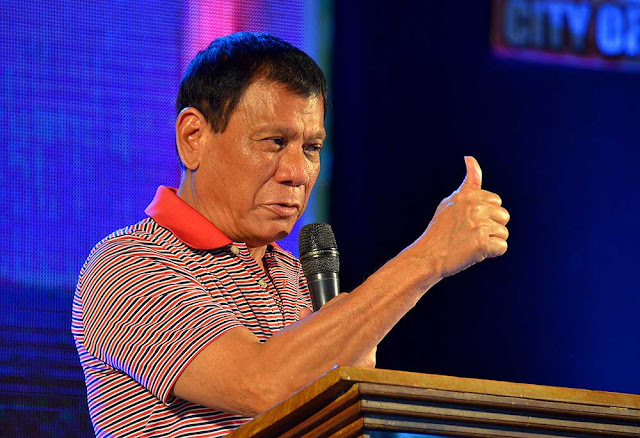 The survey was done from March 26 to April 1, just a few days after the second round of the presidential debates in which Duterte proved to be a crowd-stunner with his antics and answers on various issues. Now that Duterte is exemplifying himself as a true alternative to replace Aquino’s Daang Matuwid governance, the possibility of his camp to receive swing votes next month aside from acquiring new entrants to support his campaign now is becoming more than possible. Aside from his striking rise in the Laylo survey, Duterte scored another victory from the public after emerging as the preferred choice of the public in the latest survey commissioned by the Manila Broadcasting Corporation and its radio broadcast arm DZRH. With a larger base of 7,490 respondents nationwide (the Laylo has 3,000), Duterte won by registering 36% preferential points against Poe (28.2%), Binay (15.3%), Roxas (15.2%) and Santiago (3.5%). From Binay to Poe, now a sketchy vision of a Duterte presidency is materializing. 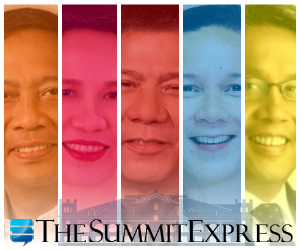 Digong’s eminent rise to the game was not exponential as Poe, or meticulously planned as Binay but rather, it was an organic growth which was nurtured by the contagious spirit of his supporters from the grassroots sector clamoring for real change and those from the middle income which have become more discerning than the previous seasons. Add to that is the experimental nature of some of the biggest names in the business sector who are interested to see on how a Duterte-style leadership will make the Philippine finally a roaring tiger economy. The final stretch of the campaign already opened as the nationwide campaign for the local positions has just begun. The machinery of LP and UNA of Roxas and Binay will surely pour out all their resources to catapult their bets on top. Poe will try to bank on the unfinished business of his father and keep the interest of the public to her by pointing out on how to solve the issues that the incumbent administration will be leaving behind to its successor. Santiago, as what she said in one of her campaign rallies during her 1992 run, will eventually try to prevail or perish on her most likely final attempt to clinch the presidency with her millions of social media soldiers. But Duterte’s strategy is different, he may not have Binay and Roxas’ machinery, he only spent a hundred million pesos as of this moment for his campaign, nor he came from a celebrated line of popular stars but his colloquial way of expressing his opinion and flamboyant demeanor whenever he presents his self to public, the way he adds his own touch in addressing public issues and his ability to dismantle any forms of mudslinging against him made him more reachable to public.